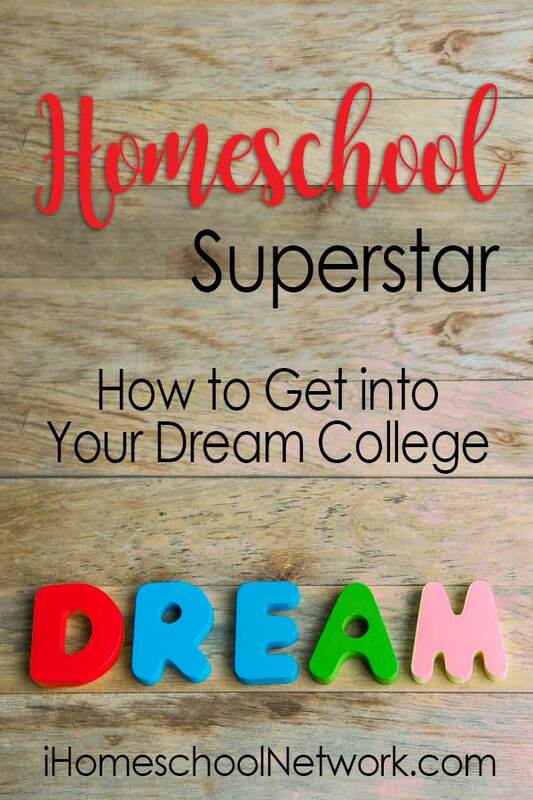 If you are a homeschooler planning to apply to college and you are wondering how to get into your dream college, I have some good news and some bad news. Let’s get the bad news out of the way first: just being homeschooled is not enough to make you interesting to college admission officers anymore. This is exactly what an admission officer told me during a recent interview, and one that others have echoed since. A decade or more ago, homeschoolers applying to college stood out because they were unusual, but that’s not the case anymore. As the number of homeschoolers has continued to multiply, so has the number of homeschoolers submitting applications for admission to colleges and universities. So, homeschooling is much more mainstream now, and most experienced admission officers have seen stacks of applications from students like you. You can still stand out. Even among other homeschoolers, and especially compared to traditional students, you can make a strong impression and improve your chances of getting into your dream school. Even better news: it won’t be that hard. With a little bit information about how college admission works, and a willingness to break away from the crowd, there are steps you can take to ensure that you, and your application, will shine. I’ll explain how in a moment, but first let’s look at the current college admissions landscape as a backdrop for these later recommendations. More than ever before, college admission has become a game of numbers – GPAs, test scores, rankings, admission rates. Almost nobody thinks this is a good idea, including those who work in admissions, but it is the current reality. There are some exceptions, of course, as an expanding number of schools go “test optional”, but even these schools frequently want homeschoolers to provide test scores anyway to confirm academic ability. And some schools require other tests in addition to the SAT or ACT, usually SAT subject tests, from home-educated students that are not required for traditional students. This may sound like there is a bias against homeschoolers in the admissions process, and I have certainly heard from many homeschooling families that they are discouraged or frustrated by these additional “hoops” they are required to jump through. However, if you look at the situation from the perspective of an admission officer, it starts to make sense. Their primary goal is to admit a class of academically qualified and capable students who are likely to succeed through their four years (or five, which is becoming the average) of college. In the absence of objective information about a student’s educational accomplishments and abilities as measured by an unbiased source (like a standardized test or non-parent teachers), they don’t have much to work with. Also, since the introduction of the Common Application, most higher education institutions are receiving far more applications than they used to because students can now apply to more schools more easily. So, out of necessity, test scores and GPAs allow admission officers to efficiently sort through large stacks of files and prioritize the applications of students with the highest numbers. What’s more, admitting a class of students with the highest possible average of scores and grades helps each school with their national rankings, as these are significant factors in how colleges and universities are evaluated and ranked. For these reasons the numbers game in higher education is not likely to change any time soon, so it’s important for all students planning to apply to college to understand and accept this as part of the overall admissions game. This means that the top priorities for all college-bound high school students need to be: 1) maintaining a solid GPA, and 2) earning strong test scores. These will get you in the front door. However, they will probably not be enough to get you admitted. So, what more can you do to catch the attention of the admission officer at your dream school? The mistake many high school students make when preparing for college, including homeschooled students, is going “all in” on the numbers game. They maximize their grades and test scores, and then take it even further, adding as many AP classes, sports, volunteering, internships, and other extra-curriculars as they can. In other words, they spread themselves thin, hoping to prove that they are well-rounded, good at everything, and worthy of a spot at their dream school. And this is their mistake. In addition to creating unnecessary anxiety, this will not set them apart because so many other students are doing the exact same thing. Admission officers admit that it becomes difficult to tell one high-achieving student’s application from the next – on paper, all qualified students begin to look the same. Even the essays start to sound the same, as most students choose the same two essay topics and talk about similar experiences. How many essays about recovering after losing the big game, or describing that one volunteer trip to Costa Rica, can one admission officer read and still be impressed? To break away from the crowd, the better strategy is to go deep. Instead of committing yourself to a broad number of activities, choose one area of true interest and focus on that. Do you love playing guitar? Take more lessons, start a band, write and perform original music, audition for a local music festival, teach younger kids who are just starting out. Or maybe computer programming is your thing. Join a local meet-up group of professional programmers, take advanced programming classes online or at your local community college, develop your own app or game, attend an industry conference, start a blog about technology trends. It doesn’t matter if you plan to major in music or know whether you want to be a programmer yet – pursuing something passionately and exploring new and unique opportunities to develop your related knowledge, skills and experience will demonstrate your ability to focus, persist, and grow. In short, your deep level of focus and commitment will make you interesting in an authentic and unique way. For many students, this level of focus may require making some hard choices. You might have to give up some activities that have been part of your life for a long time, but no longer bring you the same level of enjoyment or sense of accomplishment. This is an important life skill, though – we all have limited amounts of time, and occasionally need to reassess how we spend it. If you find yourself struggling to pare down your list, remember that anything you spend time on now reduces the time you can spend on more fulfilling activities later. Choose what interests and excites you now. In a world that has become as scattered and distracted as ours, dedicating yourself to the pursuit of something that interests you will set you apart, not just in the college admissions process, but also in your career and life beyond college. Taking the time to think about your goals and values, and choosing to invest your limited time and energy in the activities that align with each of these, will set you up for success, both personal and professional. Getting into your dream school is just the beginning – creating your dream life is the true reward. Lori Dunlap worked for almost twenty years in the corporate world, first as a management consultant to Fortune 500 companies, and then at a large research university as a program director, admissions committee member, and adjunct faculty. She has homeschooled her two boys since 2011, and recently published her first book, “From Home Education to Higher Education”, published by GHF Press in 2017. You can connect with Lori and find more information about college admissions for homeschoolers at Uncommon Applicant.